So, we all noticed Rey’s British accent. I was just hit by this realization after watching the extras in the movie, that they purposely had Rey keep her accent, because John Boyega also has a British accent, but played his role without it. Many people are wondering if in the up and coming Star Wars movie, Rouge One, the other leading female with a British accent, Jyn Erso (played by Felicity Jones) is Rey’s mother. This movie took place when Luke was in his early twenties, and it is said that (in Rogue One) Jyn is somewhere in her twenties to thirties, which could definitely work. It makes sense to make another movie to showcase some extra information about Rey and her past. Call me crazy, but I am still not convinced. My theory is that Rey was one of the children Luke was training to become a Jedi, and also his daughter, because in the movie and book there are hints that imply this. In the movie, Kylo Ren is appalled when the Lieutenant (Mitaka, played by Sebastian Armesto) comes and tells him that Finn and Han Solo were accompanied by a girl. Why would it affect him so much unless he somehow knew her? The book includes many small, but hugely important extras. 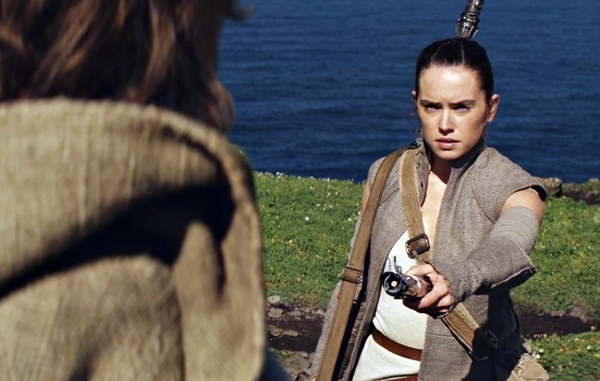 In it, there are many implications that Ren knows Rey, including the statement made by Kylo Ren when Rey uses the Force to get the lightsaber: “It is you.” In the book, after Ren was told by the Lieutenant that the droid had help from Finn escaping in the Millennium Falcon, it describes, “Whether by chance or design, Ren spared him [the Lieutenant]. ” After this it reads: “At least the worst of the report had been delivered, Mitaka [the Lieutenant] knew. And he was still alive. He allowed himself to relax ever so slightly.” Kylo Ren responds to Mitaka reporting that Finn and BB-8 were accompanied by a girl, by choking Mitaka. There has to be a good explanation for Kylo Ren’s reaction to news of “a girl”; somehow Ren knows Rey, and she is valuable, or a threat to him. Kylo Ren knowing Rey contributes to my theory that Luke was training them both to be Jedi; if Luke is Rey’s father — Luke and Han Solo are friends — then Kylo and Rey are likely to have met (even if Rey doesn’t remember because she was younger than Ren). The book has further extra scenes, including Poe’s crash and how he escapes, and Unkar Plutt appears, grabbing Rey right after Finn is trying to leave the system to run away. Now let’s talk about Lor San Tekka. He was the figure who in the beginning of the movie gave Poe the piece of the map to Skywalker. In the movie he seems mysterious and we all want to find out more about him. In the book it gives away a few extra details. Kylo Ren refers to Lor San Tekka as “The great soldier of fortune. Captured at last.” In the book and The Force Awakens, it is shown that once Tekka knew the man behind the mask…and his family. We all can’t wait to find out more about him! Another thing I noticed in the movie, is, when Rey is walking up the final flight of stairs to the Jedi Temple, on the landing there is an assortment of tools, a box, and just some random things. It made me wonder what Luke was working on during his time there. I thought I saw a notebook and a pen, but it was so quick, it was hard to tell what things were. I think Luke may be working on something to do with the Jedi, and that box seemed to be special. Maybe it holds some sort of value to the Jedi, and whatever he is building will be helpful in further movies. The book (which I totally recommend reading), contains a few extra scenes that didn’t make it into the movie. One scene that I found very informative, was when it tells us what happens to Poe when Finn helps him escape and he “dies.” We find out later in the movie that Poe made it out alive, but we don’t get any details. The book reveals that Poe meets a Blarina named Naka Iit who is a scavenger in the desert near Jakku. He is rude and doesn’t believe Poe when he tells him how he escaped from the First Order. He decides to let Poe on his speeder and they run into the Strus Clan, who like to steal things. Poe takes over driving, and he steers them clear from the trouble. This is how Poe escapes back to the resistance, with a now very grateful Blarina. 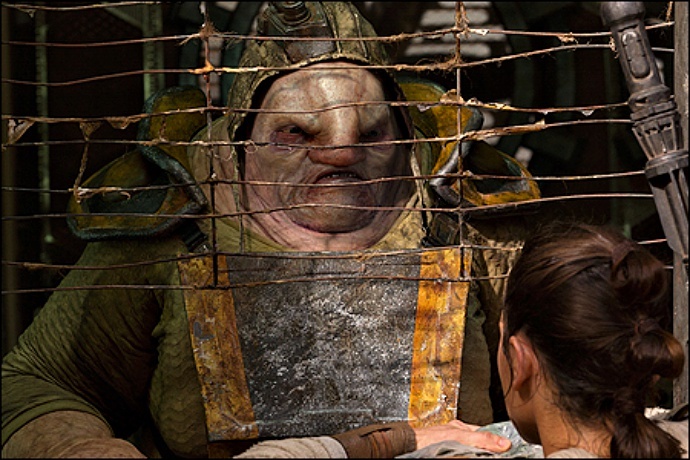 Another small extra in the book is when Unkar Plutt appears after Finn decides to run away from the First Order. 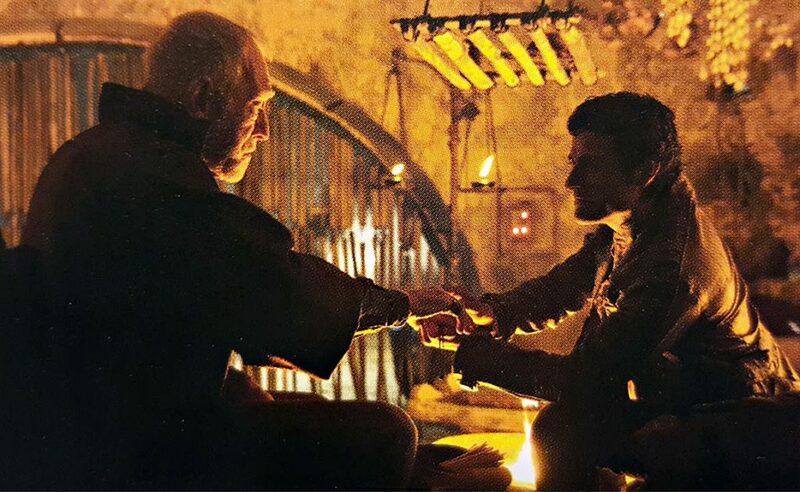 He grabs Rey and says, “I’m gonna make you and that wearisome droid pay for what you’ve done.” Plutt starts hurting Chewbacca by poking at his wound, and grabs Rey’s blaster. Chewie lashes out with his other arm, wiping Plutt’s arm clean off. Rey and Chewbacca escape him, returning to Maz and Han. The Last Jedi Speak(s): If Luke Skywalker’s First Words to Rey Are *Spoiler*, Does She Reply *Spoiler*?